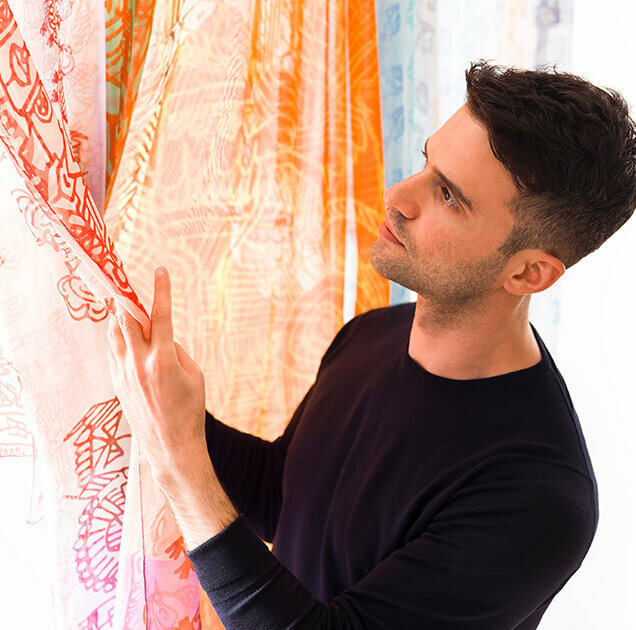 Kerem Sezer is the dynamic director and founder of Medley creations, a textiles company committed to producing unique, luxurious pieces that are inspired by his mixed British and Turkish heritage. Although he enjoyed a successful, corporate career, Sezer’s creative passion compelled him to leave the city and explore the art and fashion world. He discovered scarves and sarongs were a tailor-made canvas to showcase his distinctive style. And so Medley was born. Now Sezer creates unconventional patterns, weaving stories that resonate with those who wear his designs. Medley aims to build an exceptional fashion platform celebrating innovation and an innate playfulness with colour and design.